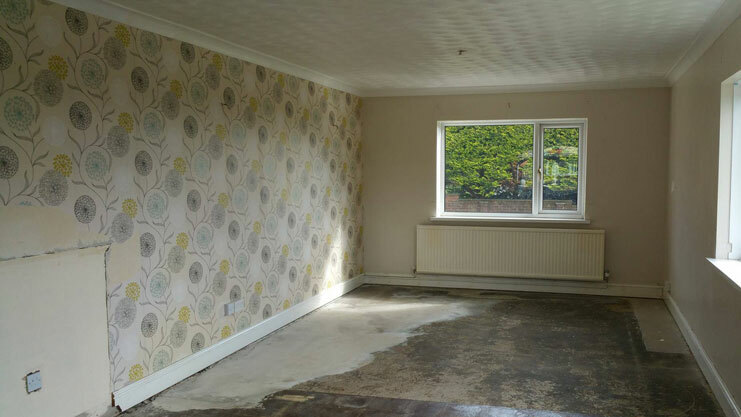 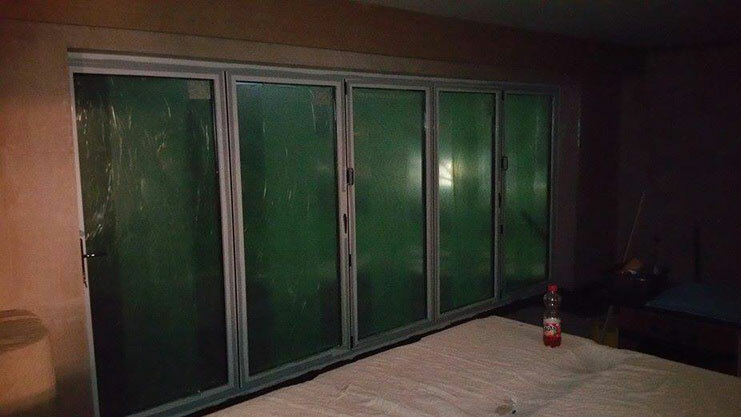 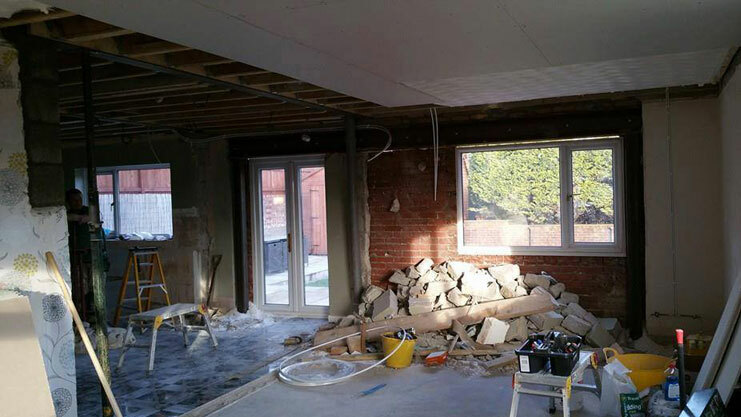 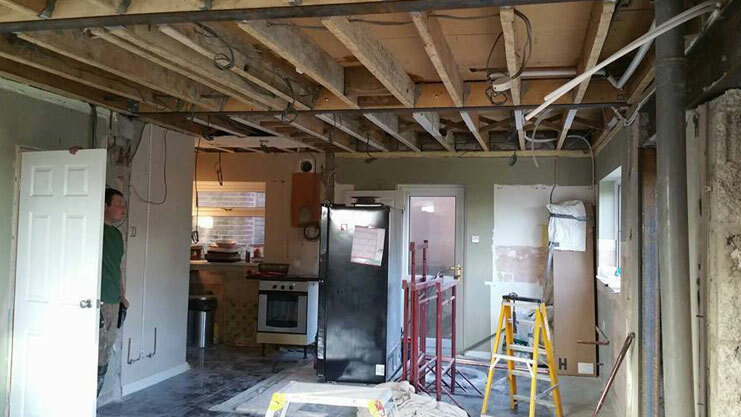 Our client were having building work within their property which involved removing internal walls and adding aluminium bi-fold doors. 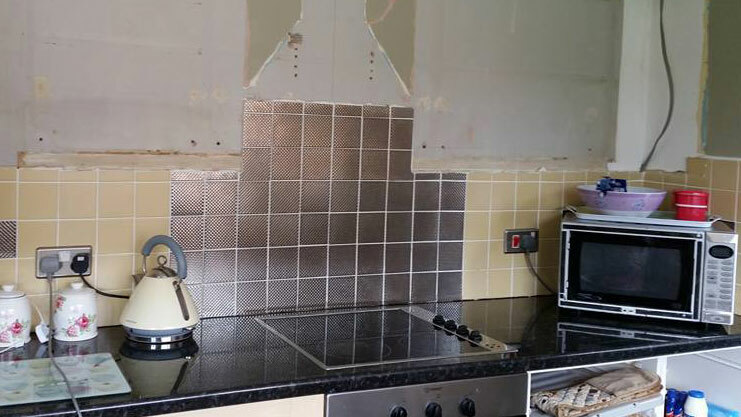 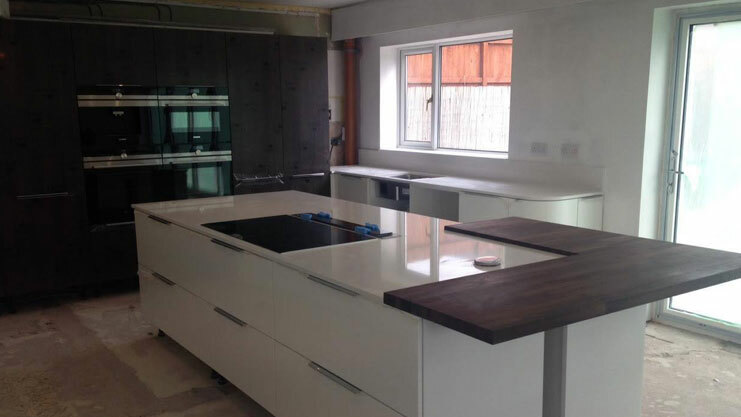 The resulting space would be open plan uber modern so our client wanted a kitchen to reflect the look. 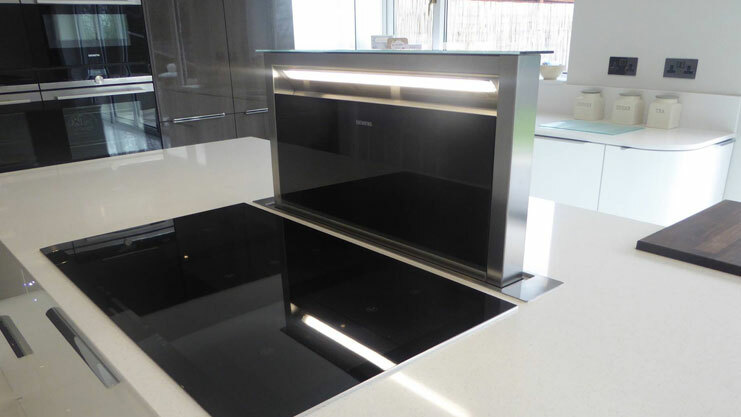 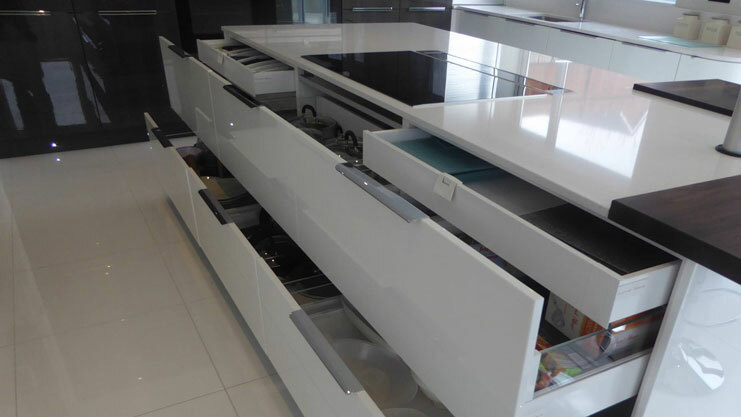 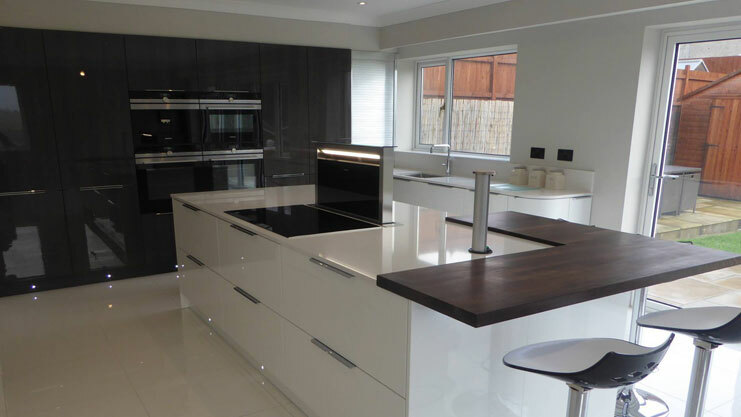 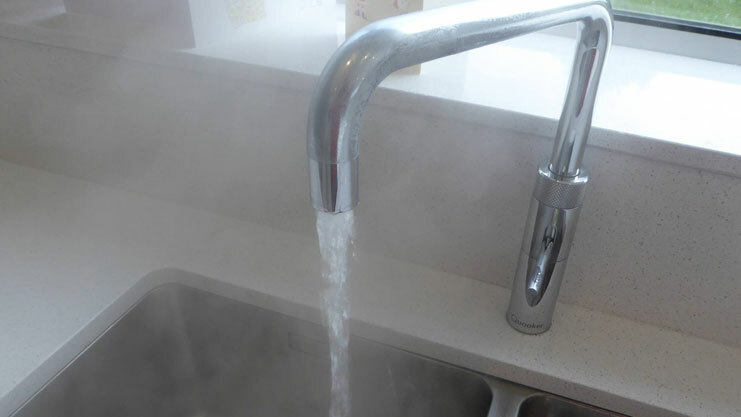 The overall combination was white gloss doors with cross cut gloss doors, stunning quartz worktops throughout, Siemens appliances with a down draft extractor and Quooker Fusion instant boiling water tap. 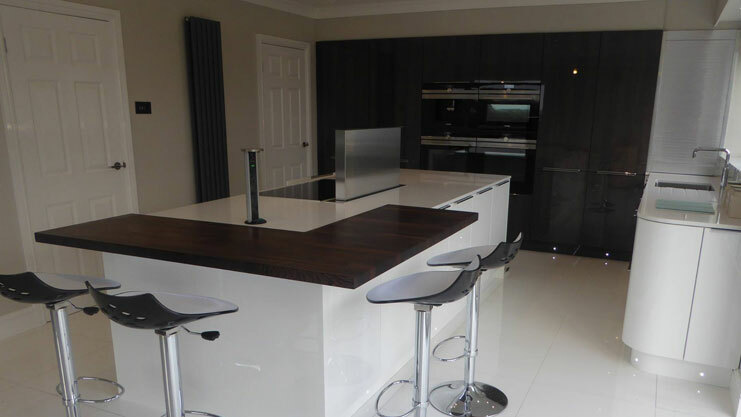 A wenge wooden breakfast bar was added with subtle mood lighting which helped to link the functional spaces.